Founded by Desi Farren, a CADC, Recovery Center of Northern Virginia is one of the most reputable landmarks in Herndon Virginia. Recovery Center of Northern Virginia is located in Herndon, a town in Fairfax County, Virginia in the Washington D.C. metropolitan area, and it is one of the best chemical dependency and alcohol use treatment facility situated in the stated counties. Recovery Center of Northern Virginia currently has been merged with Aquila Recovery North Virginia in August 2018 and now it’s operations is been run by Aquila Recovery. Aquila Recovery has extended its model of outpatient addiction services to the two branches of Recovery Center of Northern Virginia located in Herndon and Leesburg which includes Intensive Outpatient and Outpatient programs. The merging, however, doesn’t affect the status of the facility as clients of Recovery Center of Northern Virginia will continue to receive treatments as they undergone the journey towards recovery. The former owner of the facility also works under the Aquila Recovery and she would continue her work in finding suitable and possible ways to eradicate chemical dependency and substance abuse. She works in hand with the administrative of Aquila Recovery exchanging ideas to help run the merged facilities as a whole. At this facility, they strive and work towards being the best outpatient facility in the whole of Washington, D.C. and Northern Virginia. At Recovery Center of Northern Virginia, the facility makes use of an evidence-based model of the treatment approach for their clients experiencing drug or alcohol problems. Recovery Center of Northern Virginia combines psychoeducation and Psychotherapy approach to battle chemical dependency. The facility boasts of a team of staffs who are fully licensed and operates with so much professionalism. They provide individualized treatments to clients and their families while making them know that people really do care to give them a better life. So far, thousands have been successfully treated through their various programs. The Treatment options available at Recovery Center of Northern Virginia have been certified and approved to be best in the treatment of individuals struggling with substance abuse and in need of help. The patients are offered an individualized plan which is drafted by the facility’s specialists who undertakes their patients on some basic psychiatric assessment in order to carefully draft their patient’s personalized plan. This, however, focuses more on the needs of the clients. The treatment plan offered at Recovery Center of Northern Virginia lasts from six months up to a year and patients accepted by this facility are from the ages 13 – 18 years. Also, the treatments are consistent and administered to the patients by dedicated and experienced specialists on duty. The therapy choices available at Recovery Center of Northern Virginia are offered to the patients admitted into the facility just after the assessments made by the facility’s specialist and is included into the individual plan of the patient during drafting. Patients are required to attend two to four group therapy sessions and a family therapy session each week. Individual therapy sessions are conducted by the facility’s therapists but are scheduled on their patient’s request. Mobile phones are highly prohibited during therapy sessions and staffs would be advised not to eat or drink anything during therapy. Established by Desi Farren, Recovery Center of Northern Virginia provides outpatient treatment services to patients in need of rehabilitation services for years and have been doing a great job ever since their inception. Their patients are treated with evidence-based treatment practices which are government approved and board certified to be best effective in the recovery process of their patients. 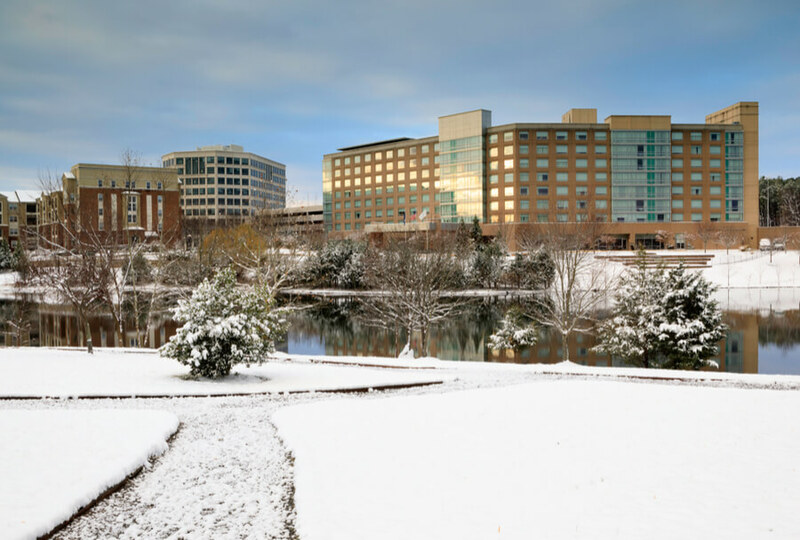 The patients admitted into Recovery Center of Northern Virginia are treated by highly trained and experienced specialists who have been treating patients for years. This facility offers one of the best rehabilitation services in Northern Virginia and has been known to be a reputable landmark in Northern Carolina. The staffs employed at Recovery Center of Northern Virginia which comprises of CADCs, therapists, counselors, and master-level LPCs are government certified and the board approved experts who have lots of years in experience in the treatment of substance abuse affected individuals. The staffs work closely with their patients to monitor their progress for the duration of their recovery process and ensure that each patient is properly taken care off and given the required treatment serviced needed for recovery.